The Get Fitt Professional range uses our latest most Advanced Generation 3.0 Far Infrared technology; ensuring superior distribution and emission of the Far Infrared Rays being generated. The thermal images below show the superior distribution and emission of the Get Fitt Advanced 3.0 Generation Far Infrared technology. The image below on the left is ordinary FIR technology and shows green and orange stripes; the orange area shows where Far Infrared is generated and the green area indicates no Far Infrared. Compare this with the image on the right showing the superior Get Fitt Advanced 3.0 Generation Far Infrared technology; the orange and red areas show where Far Infrared is generated. The Advanced 3.0 Generation Far Infrared technology simply generates so much more Far Infrared. The professional range uses our most Advanced 3.0 Generation Far Infrared technology making it so much more powerful and effective. The Get Fitt Advanced Generation 3.0 Far Infrared Technology generate about one-third of their output in the middle Far Infrared band- from 4 to 5.6 microns – and the other two-thirds in the long band-from 5.6 to 20 microns for deep tissue penetration. The output is evenly spread around the 9.4-micron pivot point of peak human output. This distribution maximizes the higher penetration of the middle band waves and combines them with the long waves that produce resonant absorption for healthy tissue output. 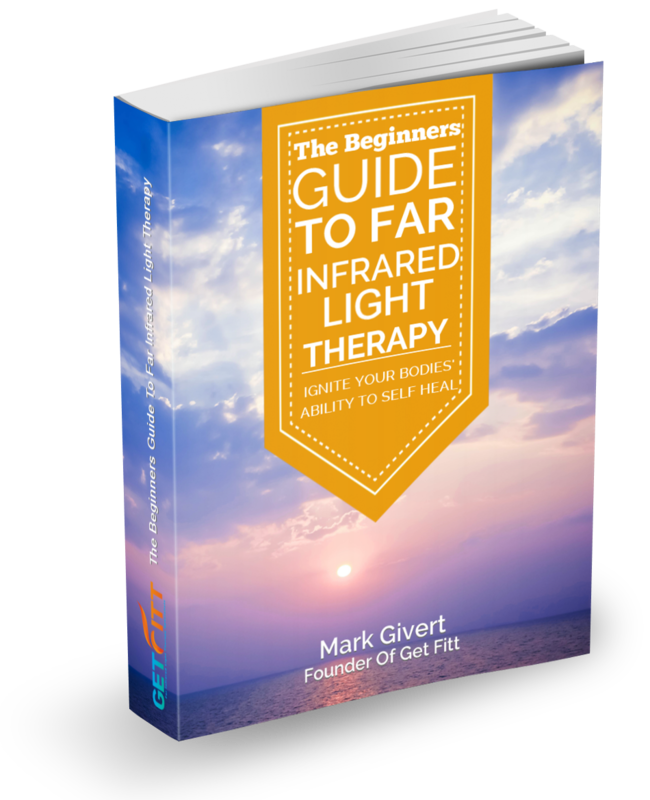 Far Infrared energy penetrates tissues to a depth of over one inch. Close to 93% of Far Infrared that reaches the skin is easily absorbed. A conventional sauna, relies on hot air having direct contact with the skin to heat the body. Our Far Infrared Units warm only10% of the air, leaving over 90% of the heat available to directly warm the body. The Get Fitt Advanced Generation 3.0 Far Infrared Technology can warm its users to a greater depth and with more efficiency than any conventional sauna, and is designed specifically for therapeutic & professional use. With our Advanced Generation 3.0 Far Infrared Technology it is possible to warm the body and induce sweating at low temperatures (as low as 38oC) that are comfortable compared with conventional saunas that operate at between 65 -100oC.